Live locally? Join our VIP program! 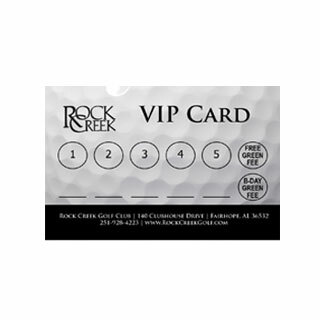 Purchase a VIP card for just $10 and get discounted rounds of golf at Rock Creek. Get one punch on your card for each round played and get a free greens fee after your 5th round. You can also get a free greens fee on your birthday!